Massachusetts circa 1905. 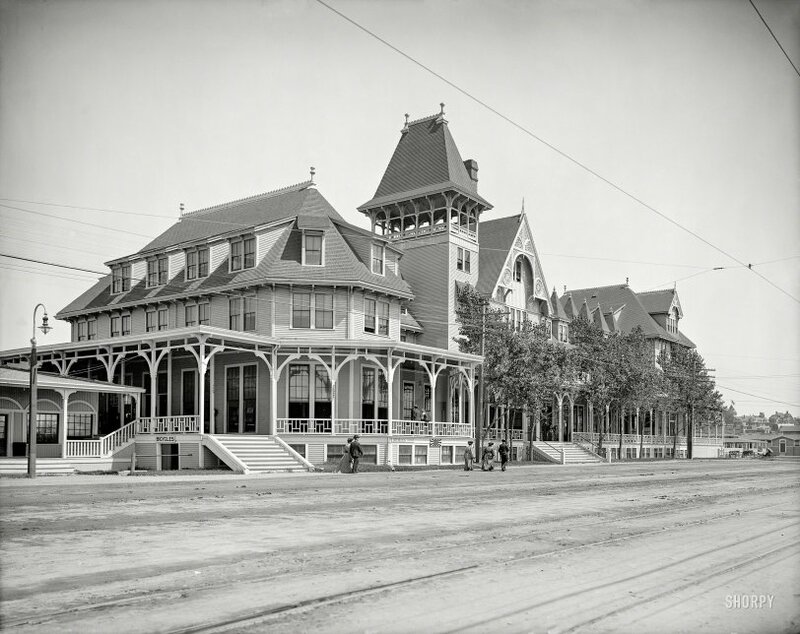 "Nantasket Beach casino (formerly Hotel Nantasket)." 8x10 inch dry plate glass negative, Detroit Publishing Company. View full size. Submitted by SteveBell on Tue, 04/14/2015 - 6:49am. The detail captured by 1905 lenses never ceases to amaze me. OK, so the corners are a little vignetted, but the focus does not drop off. Amazing image.